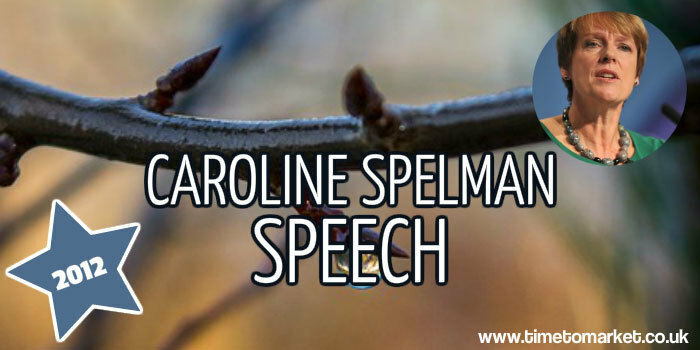 A Caroline Spelman speech highlights the linguistic challenges faced by politicians in government and opposition. The Environment Secretary’s speech at the Guildhall yesterday was an insight into her department’s contribution to the Rio +20 climate conference in a few months time. So, the Spelman speech featured many of the standard rhetorical flourishes we take for granted from a well-written political speech. Not just exhortations and aspirations. It has to be a workshop, not a talking shop. Thus, all good stuff in a speech of this type. But it was the words in her speech that caught our attention. The first indicator was the sentence length. The Spelman speech featured many lengthy sentences with an average sentence length of some 15 words or so. That’s above average for many speeches and certainly above average for a modern political speech. Her choice of words suggested a broad continuity of policy between this Coalition government and the previous Labour government. Her words could have come from any speech written for David Miliband or other Environment Ministers before 2010. Did the Coalition bring in their own speechwriters? Perhaps not. In four months’ time, the world will meet to plot the path to sustainable development and green economic growth at Rio +20. So with this dramatic opening, the stakes are clearly high. Let me be absolutely clear that SDGs cannot and should not attract attention away from achieving the Millennium Development Goals by 2015 – the UK is firmly committed to achieving this. Governments can and must provide the framework for green growth. And I genuinely believe this Government is leading the way with that agenda. I want to hear you making the case for green growth—to embed sustainable development in the economy of tomorrow. I want you to help us push the envelope on natural capital and green accounting. Yes you read it correctly the first time. The Minister wants her audience to…push the envelope. Good grief. These are ambitions that will see us agree achievable and practical outcomes. Generating the political will and a proper understanding of what we need to do. An understanding that inspires real change in the world through sustainable development and green economic growth. Representing the fusion of economic and environment recovery. And above all demonstrate to the world that this country is an environmental leader pursuing goals that balance environmental responsibility and economic security for today and for tomorrow. Was this final section of the Spelman speech an appeal to her audience? If so, there was too much jargon and too much United Nations speak. Because this wasn’t the language of the people. An electorate is just not going to get excited with this guff. We’re establishing a Committee that reports to the Chancellor on the state of natural capital in England. Thank you Minister, can we suggest that you overhaul your speech writing team. 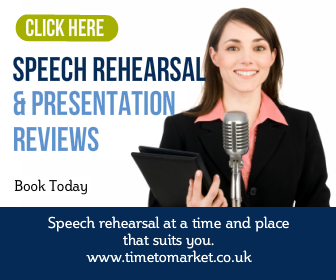 You can, of course discover a whole series of public speaking tips here with Time to Market. Read the posts, watch the video tips or listen to the podcasts. It’s your choice. 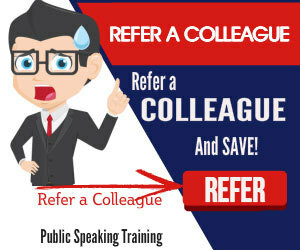 And, when you choose to develop your public speaking skills even further, please don’t hesitate to get in touch.